From taking that first hesitant step off a boat’s wooden plank onto a foreign land to having your country patriotism questioned after the bombing of Pearl Harbor—experience the multi-generational history of the Japanese in Hawai‘i. The Japanese Cultural Center of Hawai‘i (JCCH) presents the exhibition, Okage Sama De: I am what I am because of you that tells a cultural story that resonates with all ethnicities across the United States. The exhibit reveals the indelible legacies and values passed on from generation to generation—starting with the first wave of Japanese immigrants in 1868—that are now weaved into the Hawai‘i landscape and still carried on today. Okage Sama De first opened its doors on January 7, 1995. This newly renovated permanent exhibition now features new artifacts, refurbished wall murals and displays, as well as a new video feature capturing oral testimonies about various topics of the Japanese American experience in Hawai‘i. The renovation in 2012 was headed up by a team that includes the exhibit’s original designers Jane Komeiji, Tom Klobe, and Momi Cazimero. The Japanese Cultural Center of Hawai‘i (JCCH) and the Onizuka Memorial Committee proudly present the Ellison Onizuka Remembrance in the JCCH historical gallery, Okage Sama De, I am what I am because of you. 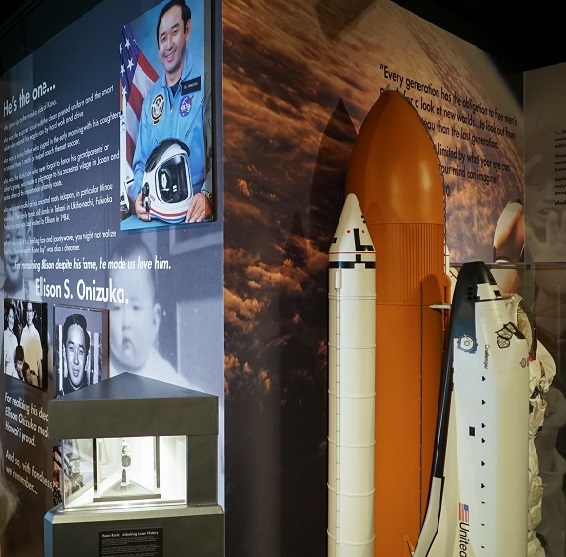 The collection features photos and information on Hawai‘i’s astronaut, Ellison Onizuka, a space suit from astronaut Fred Haise of Apollo 13, 9-ft model of the Challenger Space Shuttle, and the state’s only moon rock available for public viewing. The Onizuka Remembrance at JCCH will be expanded in the coming months in include Ellison’s NASA flight jacket, Boy Scout uniform and other personal items. Ellison Onizuka was born and raised in Kona and was the first person of Japanese ancestry to become a U.S. astronaut and travel into space. 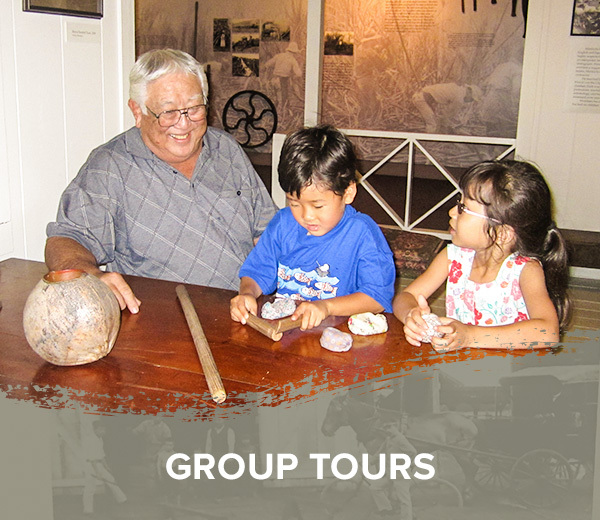 For the past 15 years, the Japanese Cultural Center of Hawai‘i has provided keiki cultural classes and inter-active guided tours of its historical exhibit for students of all ages. Our “Discovery Box” program offered to public and private schools, teaches Japanese culture and history through music, dance, folk tales, origami and hands-on activities led by experienced volunteer educators. Each Discovery Box represents a lesson in Japanese culture. Themes include Kid Time Toys and Games, Girl’s Day, Boy’s Day, New Year’s Festival, Plantation Life, Picture Brides, Obon, and Tanabata. The 2.5-hour program held at the Japanese Cultural Center of Hawai‘i site accommodates all learning styles. 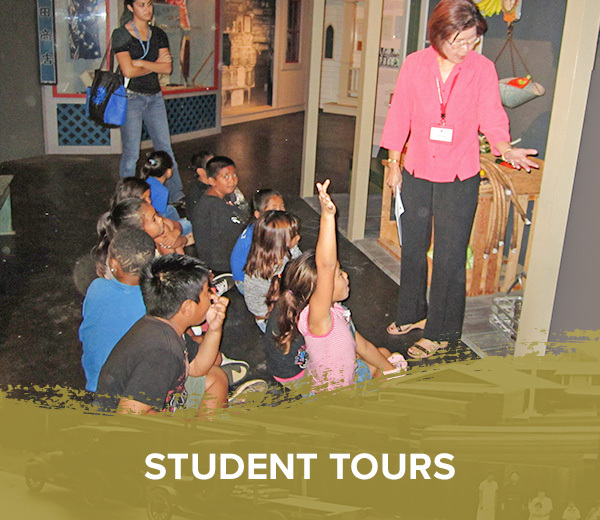 In addition to the hands-on Discovery Box curriculum, history is brought to life through the docent-led guided tour of the historical exhibit, Okage Sama De, I am what I am because of you.